This pair of adorable autism earrings are fun to wear to show your support for autism. 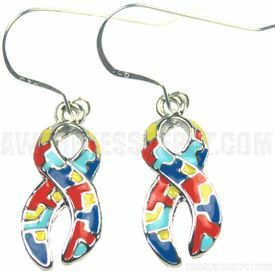 Each dangling autism ribbon charm measures about an inch high and a little more than a quarter inch across. They are light and come on a sterling silver fishhook.